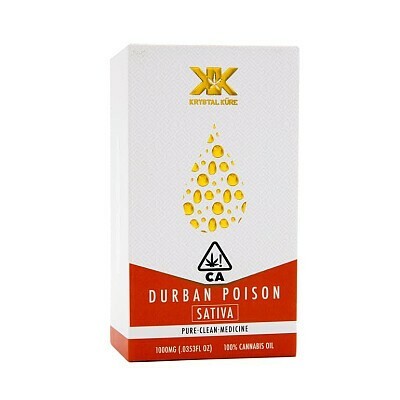 Krystal Kure's Durban Poison cartridge contains nothing but premium, solvent-free essential cannabis oil distilled from hybrid strain Durban Poison. An alltime classic sativa Durban Posion. We take pride in having the strongest organic distilled wax pens that are lab tested by Canna Safe at 94.2%THC and unlike most wax products on the market, Krystal KüRe is free of fillers and solvents such as: PG, PEG,VG or MCT.